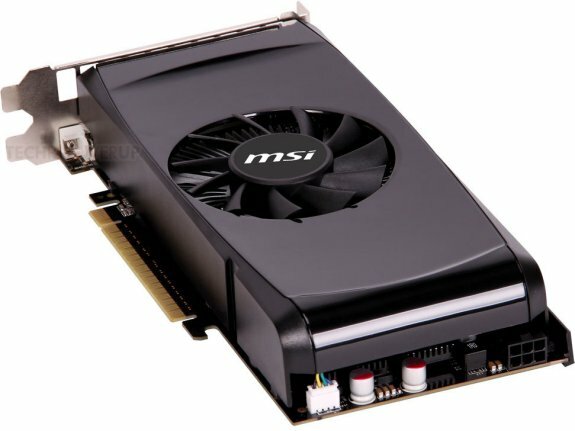 TPU delivers news that MSI has introduced a new cost-effective GeForce GTX 550 Ti that will hit price points around $150. The card is named N550GTX-Ti-MD1GD5-V2, it sticks to the reference clockspeeds, has the stock cooling solution but uses a custom PCB design. The card features a similar cooling solution to that of NVIDIA reference design, backed up by a new PCB design. The GPU sticks to NVIDIA-reference clock speeds of 900 MHz (core), 1800 MHz (CUDA cores), and 3.80 GHz (GDDR5 memory effective). The GPU packs 192 CUDA cores, and a 192-bit wide GDDR5 memory interface, holding 1 GB of memory. The new PCB layout also allowed MSI to improve the display output loadout, which includes one each of dual-link DVI, D-Sub, and HDMI (standard-size).